What are the best places to visit in Hyderabad in 3 days? Tough question to answer because this beautiful city has so much to offer. Opulent structures reminiscent of its illustrious past rub shoulders with stunning temples and serene parks and everything is punctuated with drool-worthy biryani joints. But with only 3 days in hand, you’ll have to make very sharp choices to catch the best of Hyderabad. 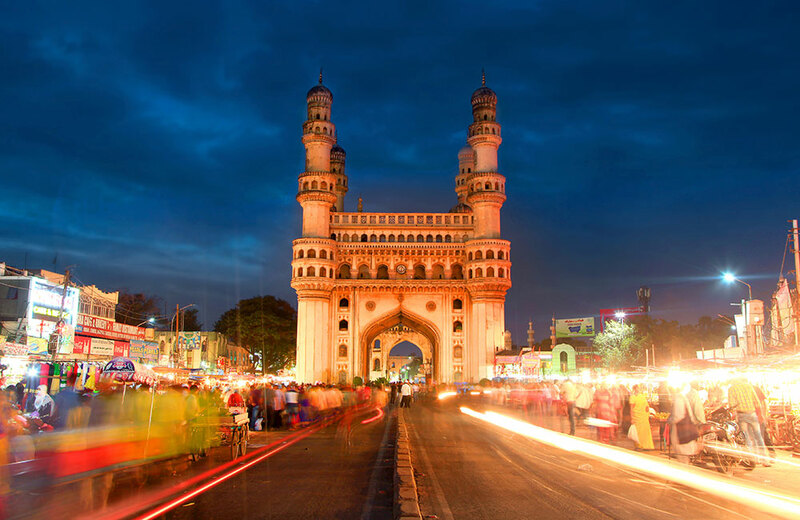 As always, we’ve got you sorted with our itinerary of hand-picked attractions for the definitive Hyderabad experience. So book a FabHotel in Hyderabad and read on to find how to make the most of your brief sojourn. 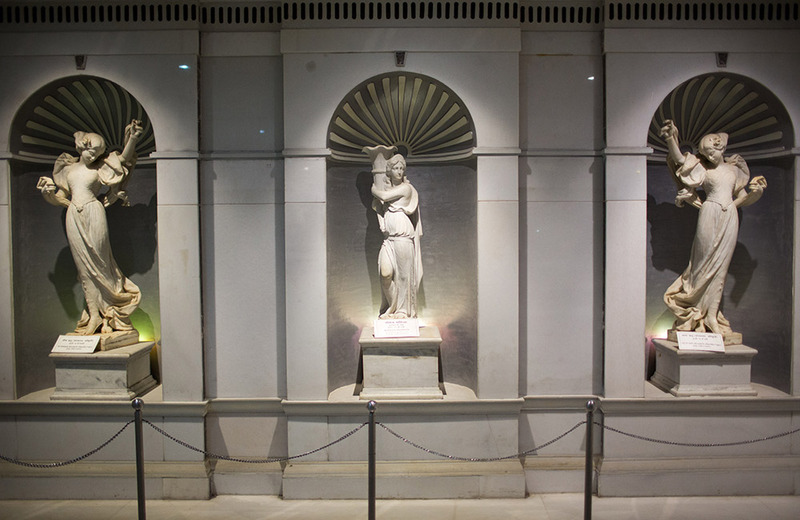 Start off your city tour with a visit to the famed Salarjung Museum, one of the best places to visit in Hyderabad in 3 days. A veritable (and frankly, eye-popping!) collection of artifacts from India, Persia, Egypt and Syria among other places fills up the 38 galleries housed in this impressive museum. 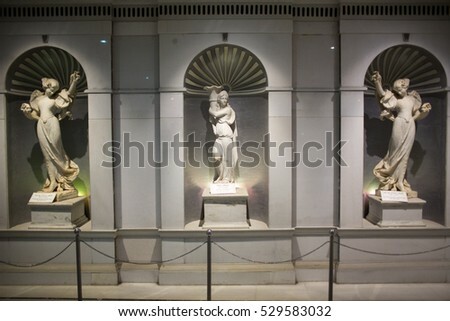 Founded by Mir Yousuf Ali Khan, better known as Salar Jung III, part of a noble family of the erstwhile Hyderabad State, the museum is huge and would need several visits to see all the displays. 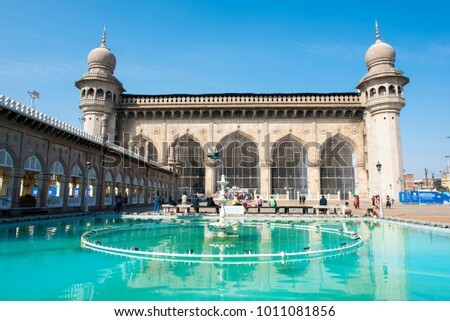 Since you only have 3 days in Hyderabad, focus on only a few collections – the illustrated 13th century copies of the Quran, the veiled statue of Rebecca sculpted in Italian marble, the substantial Jade collection and of course the famed 200-year-old clock that is struck every hour, by a fascinating bearded man! Best Eats Close by: Perfectly cooked Biryani at Shadab Hotel in Charminar, authentic Hyderabadi cuisine at Hotel Nayab, just minutes away from the museum and Al Khader Fruit Salad and Juice Center for its fresh juices, fruit salads and ice creams! 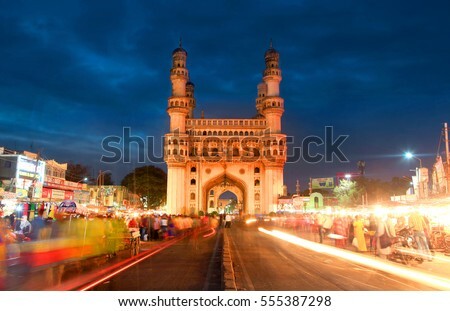 Built in 1591 AD by Muhammad Quli Qutb Shah of the Qutb Shahi dynasty, to commemorate the end of plague, Charminar is the definitive Hyderabad icon. 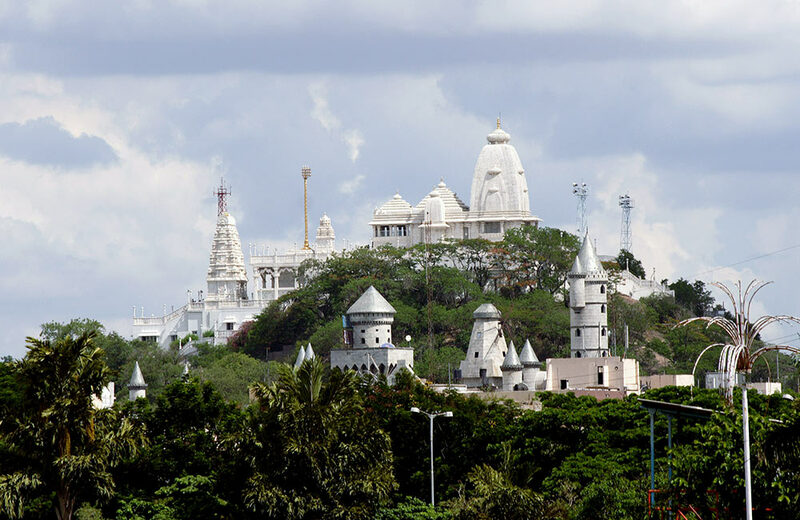 It is one of the best places to visit in Hyderabad in 3 days and frankly, you can’t miss it because it is right in the middle of the old city and you’ll cross it several times! Close to the Salarjung Museum, this impressive building was originally meant to be a mosque and affords beautiful views of the city, especially at night. Head up to the first floor via its beautiful spiral staircase and be charmed. 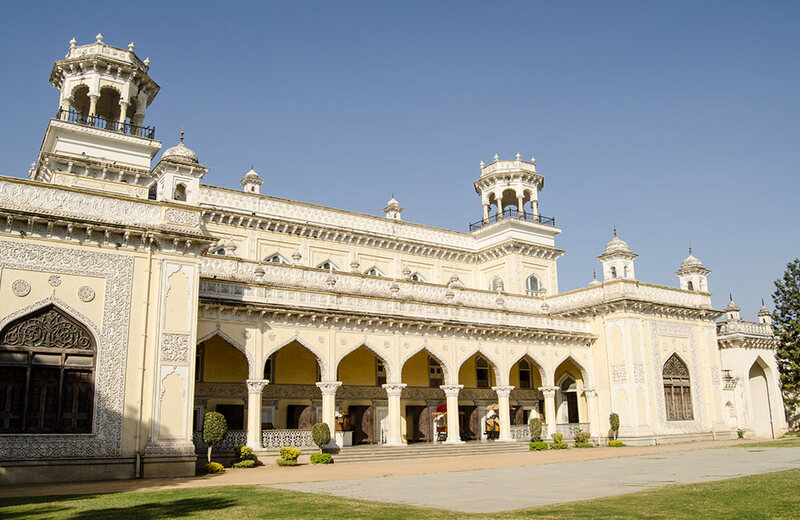 History-laden and imposing, the recently restored 200-year-old Chowmahalla Palace is situated close to Charminar and is home to the Nizam’s personal collection of old photographs, vintage cars and antiques. Once the seat of the Asaf Jahi dynasty, this elegant royal compound was where the successive Nizams were nominated rulers and where most royal ceremonies and meetings took place. 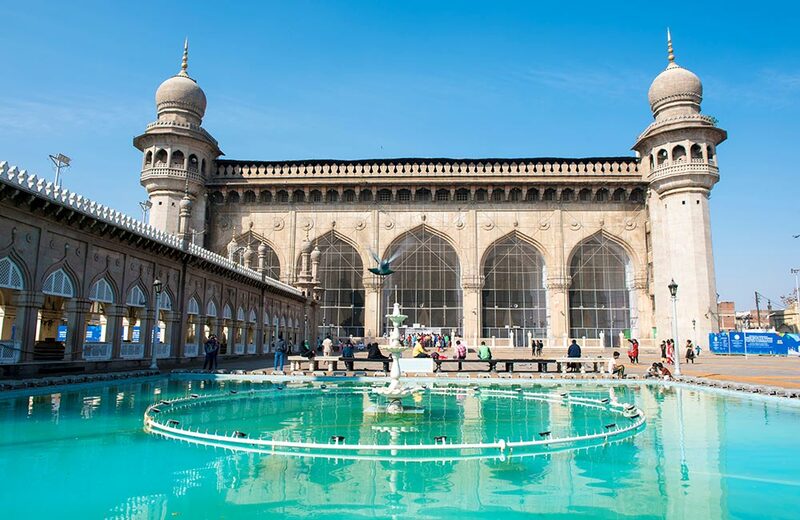 The complex consists of two courtyards and the magnificent chandeliered Durbar or Khilwat; if you only had 3 days in Hyderabad, this is one of the best places to visit. 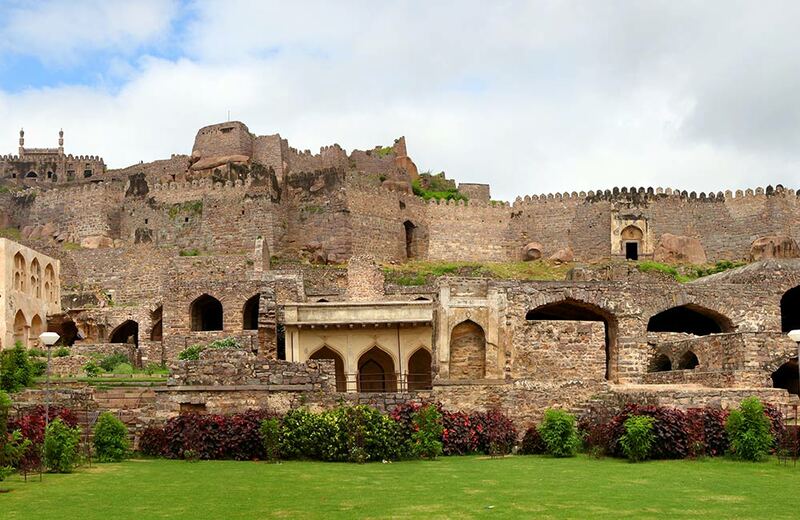 Once home to the immensely famous Koh-i-Noor diamond, the majestic Golconda Fort should be your first stop on Day 2. Expansive, historic and intriguing, the fort offers an insight into life back when it was occupied and used mainly as a fortress to keep away enemies. Canon-mounted bastions, gateways and drawbridges are all reminders of the wars fought here. Spread over an area of 11 sq. km. 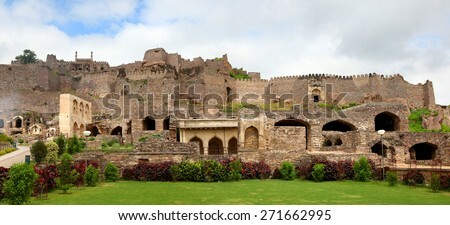 the fort is cut out of granite rock and also houses royal apartments, the zenana, and places of worship, impressive stables and other structures that are worth seeing. Don’t leave without hiking up to the Bala Hissar pavilion right at the top where the sound of clapping made at the bottom of the hill at Fateh Darwaza, can be heard. How’s that for brilliant acoustics? There’s also a sound and light show in the evening which you can aim for. Best Eats Close by: Yummy biryani at the Green Bawarchi Restaurant and, a hot mug of coffee (you’ll need it after all the walking!) with snacks at Cuppa Bistro. 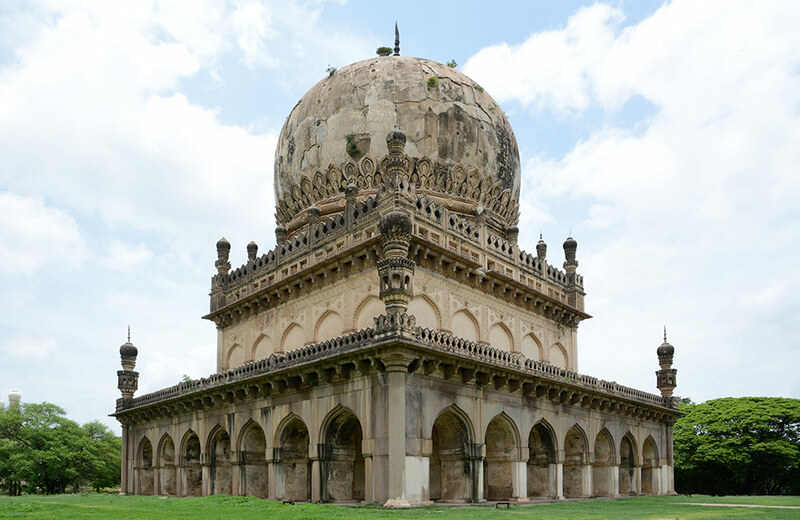 Just a few minutes away from the hubbub of tourists at Golconda Fort lies the verdant, green complex of the Qutub Shahi Tombs in Ibrahim Bagh. Most people would skip it but we’d recommend a stop here to admire the architecture of the seven huge tombs where all the rulers of the namesake dynasty were laid to rest. Distinct from most other structures you see from the era, the tombs are made of black asphalt and are intricately carved. 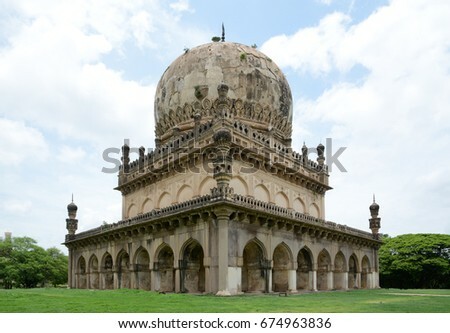 A beautiful site, the tombs are a great place to visit in Hyderabad on a 3 day trip. 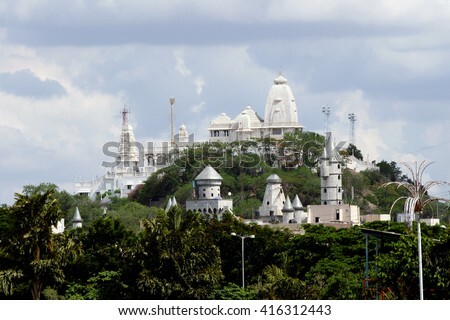 One of the must-see places to visit in Hyderabad on a 3 day trip is the magnificent Birla Mandir sitting atop Naubat Pahad, just about a half hour car ride away from Golconda Fort. Dedicated to Lord Venkateshwara, this stunning white marble structure (nearly 2,000 tons of it carted from faraway Rajasthan!) is not only famous for its serene, calming atmosphere but also for its beautiful architecture that artfully mixes Rajasthani, Utkala and Dravidian styles together. Take the elevator up to the temple and enjoy beautiful views of the city and the Hussain Sagar Lake before calling it a day. 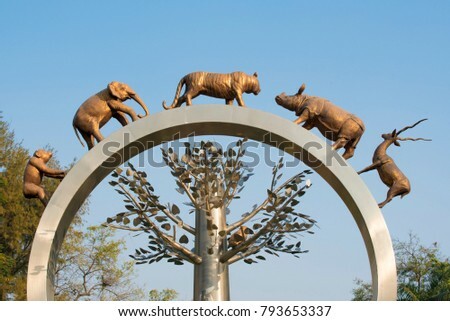 Spread over 380-acres, the Nehru Zoological Park or the Hyderabad Zoo as it is fondly known is one of the best places to visit in Hyderabad on a 3-day trip, especially if you are traveling with kids. You’ll be forgiven the crusty old fort and the museum for a few hours at the zoo watching tigers, hippos, leopards, birds, reptiles and their ilk going about their business in enclosures that closely mimic their real habitat. Normally, it would require a whole day to see the entire zoo, but you can cut ahead with a quick spin on an hour long ride aboard a battery operated vehicle that takes you around the main enclosures. If you have more time, take the canter safari – we promise all-round delight! Constructed between 16th & 17th centuries by Muhammad Quli Qutb Shah, the Mecca Masjid is one of the largest mosques in the world and among the oldest in India. A magnificent structure, it is revered by followers and tourists alike. If you only have 3 days in Hyderabad, spend some time to go see this imposing building for its brilliant domed roof – mentioned by the French traveler Jean-Baptiste Tavernier, who witnessed part of its construction, in his travelogue saying, “it is about 50 years since they began to build a splendid pagoda in the town which will be the grandest in all of India when it is completed.” Revel in its cascading fountain close to the entrance, its decorated façade that includes intricately carved arches and minarets. Non-Muslims are not allowed inside the mosque, but you can admire other features like the serene pool and marble tombs that are the final resting spot for some of the former rulers. The road skirting Hyderabad’s exceedingly impressive Hussain Sagar Lake is called the Necklace Road when lit up at night (because it resembles a pearl necklace) and is the best way to enjoy this magnificent man-made lake built by Ibrahim Qutub Quli Shah in 1563. 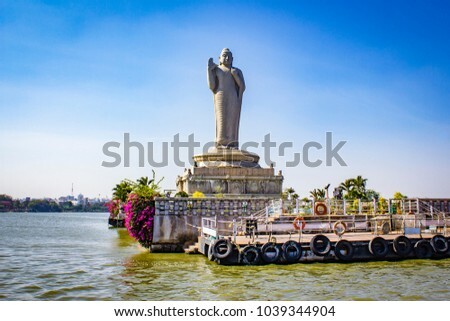 Ice cream carts, walkers and families with children dot the sidewalk along the lake that is dominated by an imposing statue of Gautam Buddha. 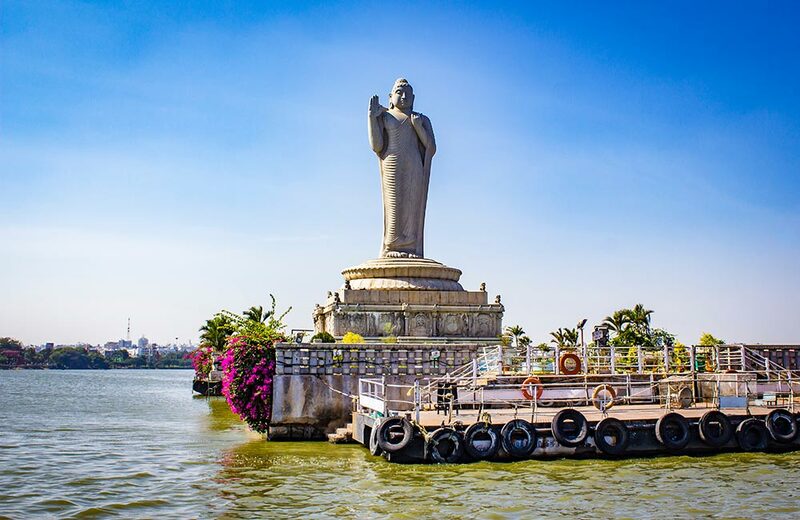 Taking a drive along the lake and visiting the adjoining Lumbini Park (that gives you close access to the statue) is one of the best Hyderabad experiences on a 3-day trip. Looking for more places to visit in Hyderabad in 3 days? 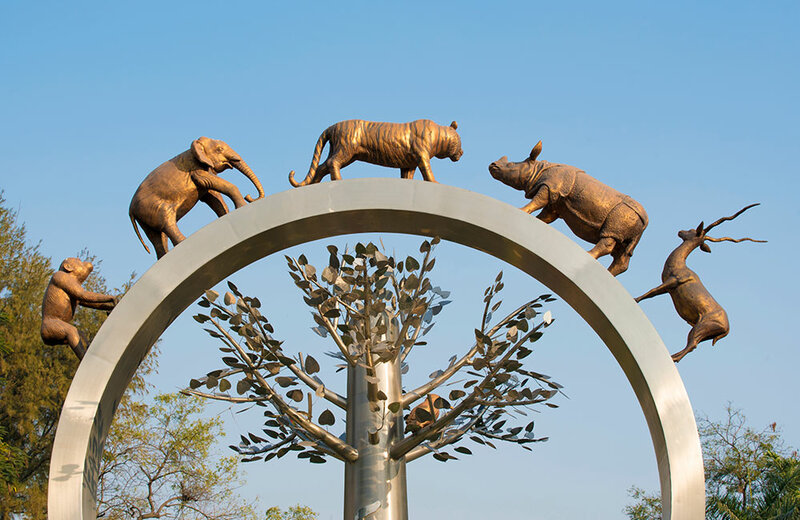 Head to the glittering Ramoji Film City about 30 km from the city center and spend the day (yup! That’s how long it’s going to take! 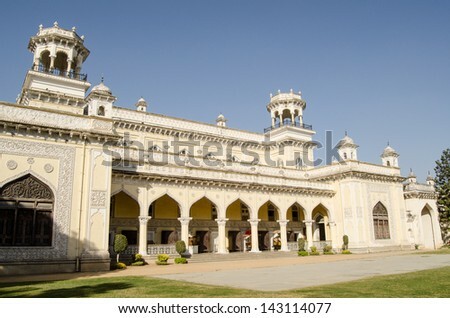 ), roaming in the huge gardens, gawking at the opulent film sets and maybe even watch a film shoot in progress. Recorded as the largest film studio complex in the world by the Guinness Book of World Records, Ramoji Film City is equipped with theatres for daily shows, several restaurants and even a hotel, should you want to spend the night. Another place to visit in Hyderabad on a short trip is the Nagole Lake where the top features is the ‘moss garden’…try walking barefoot to feel nature’s splurge! Have a whole other way to experience Hyderabad in 3 days? Share your own itinerary with us in the comments below.